It may be stating the obvious but one of the main differences between riding on and off road is the amount of grip available. On the road pretty well every sane rider (myself included) stays within the fairly generous amount of grip available on tar seal while making allowances for greasy or bumpy road conditions.Off road and on gravel however it’s a different story, and at times there simply may not be a lot of grip available. 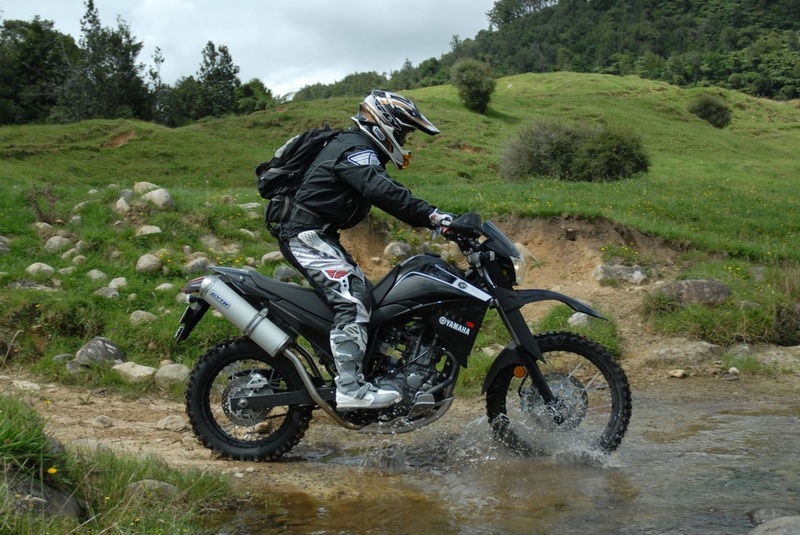 Front wheel grip, or the lack of it, mainly affects how an Adventure bike steers and brakes. At the rear, while braking and steering can be something of an issue, it’s mainly the tyre’s lack of drive that becomes a problem. When drive becomes marginal both acceleration and hill climbing can be affected. It is this rear wheel drive that we will look at. 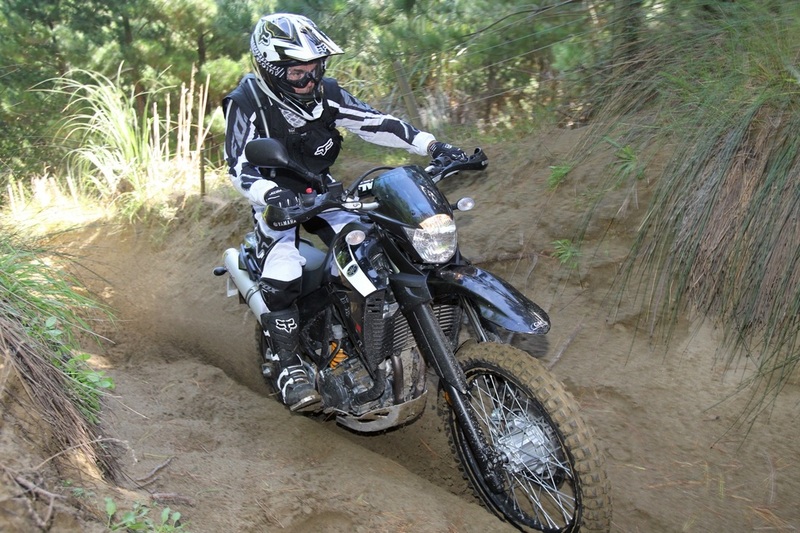 The problem for some riders converting from road riding, is that in some off road situations maximum grip with minimal wheelspin best maintains forward momentum, while in others it’s just the opposite - more wheelspin gets best results. Understanding why this is and when to apply the two wildly different techniques is the secret to the puzzle. 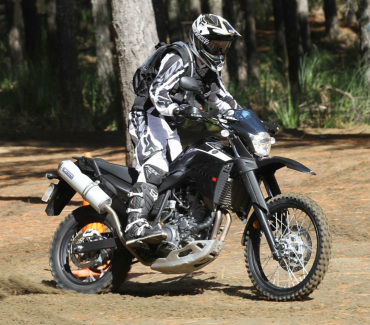 Before we go on to describe grip and wheelspin let’s assume that you are riding on knobby or semi-knobby tyres, because if you aren’t you won’t find much grip on road tyres in slippery off road conditions, and no amount of my advice will help. Minimise wheelspin on hard slippery surfaces. situations, wheelspin will only get the tyre going uncontrollably sideways. As it spins more the tyre provides less and less forward drive and as it spins faster and faster it will inevitably slide out and land you on your head sooner than you can blink. Instead, cut the power and delicately feather the throttle at lower revs to nearly match tyre and ground speed, thus reducing wheelspin and maintaining grip and forward momentum. Learn when to maximise wheelspin to create drive. ground, it digs into fresh dirt and so provides forward momentum, even if being hard on the trails. To generate wheelspin, clutch the engine hard momentarily while applying power. Use second gear, as first gear (depending on the bike) may be too low to make enough wheelspin. Only clutch aggressively in short bursts otherwise your clutch will overheat and burn out. Lean forward for more wheelspin. Dialing in either grip or wheelspin is however more than just how much power you apply via the throttle; body position also plays a big part. 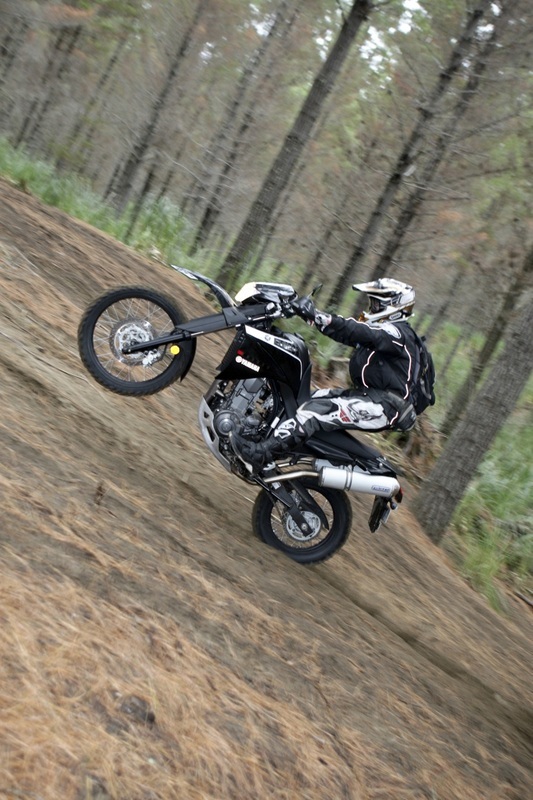 Getting your weight forward reduces weight on the rear tyre, promoting wheelspin; leaning well back while standing on the pegs decreases wheelspin. Once again it has to be said that a seated rider cannot make big changes in weight distribution - to do this you need to stand. 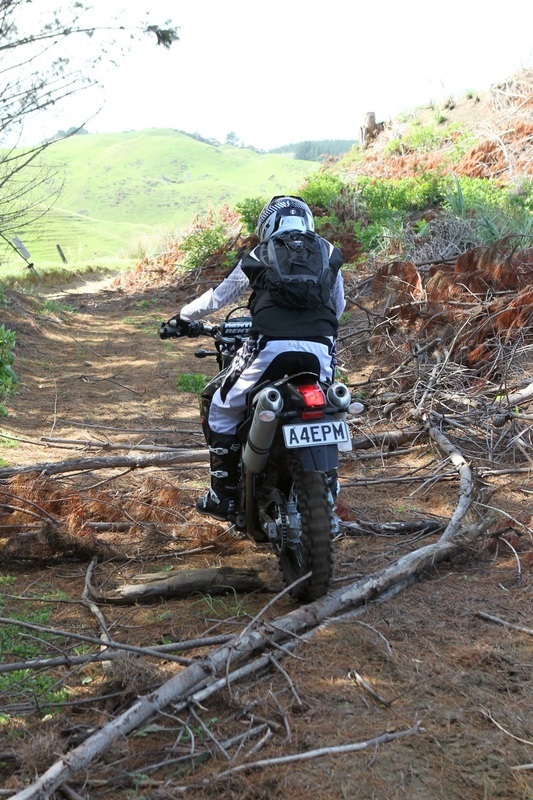 If all trails were either hard or soft, life would be simple, but of course in real life the off-road terrain we ride tends to be made up of a wide variety of surfaces. The rider therefore needs to be able to switch from grip to wheelspin in an instant, dialing in the right technique. 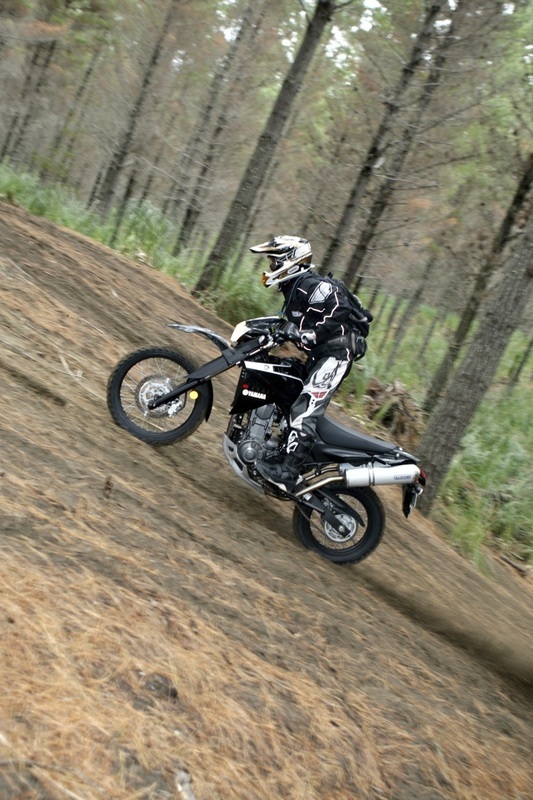 To recognise the transitions in terrain and apply the techniques required for each change, is one of the hallmarks of an experienced Adventure rider.